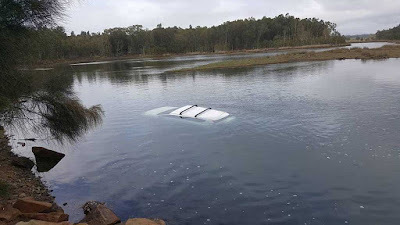 A driver had a lucky escape after his car ended up in a lake at about 10am on Tuesday in Lake Cathie, New South Wales, Australia, due to a scare by a huntsman spider. The driver had conducted some spring cleaning of his house and was on the way to the tip with some materials to deliver when the accident happened. He saw the spider on him and panicked as he came around a bend in the road. “I meant to hit the brake but instead I accidentally hit the accelerator,” he said. Instead of turning around the bend, the vehicle went over the bank of the lake and stopped in the water where it proceeded to sink. 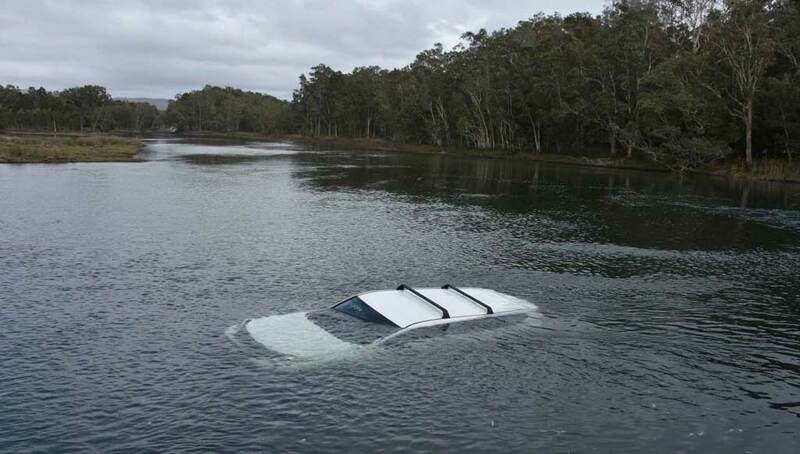 “I was surprised at how deep it was,” the driver said. He said he couldn’t get his door open as it was locked but managed to exit through his window which was already three-quarters open. There were no other passengers in the Toyota Prado at the time of the incident. Paramedics attended and treated the driver for minor injuries. Two NSW Rural Fire Service vehicles and one Fire and Rescue NSW vehicle were also in attendance. I hope the spider can swim.